The first and the most accurate of the post-apocalyptic movies based on the novel I Am legend. 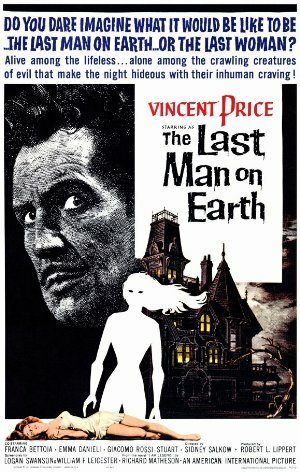 The whole film is drenched with sadness and pessimism, thanks to the performance of Vincent Price and to the alienating scenarios of a desert Rome (mostly the EUR district). Those who saw only the 2007 remake could be surprised to find that everything had already been done and (in my opinion) even better.